“Come Together”. This is what the Aipac conference organizers chose to use as their slogan for this year. Its election year and it is important to stress that the relationship between Israel and America is bi-partisan. It does not matter which party the candidate comes from as long as s/he supports Israel. The idea that this year: 18,700 people gathered for two days of lectures and presentations and one day of lobbying is heart warming. I have been coming to this conference for the last 12 years and each time it gives me strength to see so many activists coming together and knowing that what brings them together is ISRAEL. The lobbying agenda does not seem to change much since I started coming to the conference. Iran, Foreign Aid and the security of Israel are the three topics that we make sure that our representatives pay attention to. This year we ask that they will sign a letter; one in congress and one at the senate. We arrived on Saturday afternoon and joined the shabbaton group for a Havdala service that featured Eli Gold, a comedian we heard before. It was a nice way to begin the three day marathon of seriuos lectures and presentations. This was a nice way to officially start the conference before an interview of Ambassador Ron Dermer by David Horowitz (editor of Times of Israel). The ambassador talked about the major threat on Israel: IRAN , IRAN, IRAN..It sounded like a broken record and although we have been talking about it for the last 10 years, it is still the most important issue we lobby for. He reminded us that Israel never asked for an American soldier to risk his or her life for our country but we need the monetary help and the back up of the American government. As for peace, President Abbas is not part of the solution. He refuses to sit down and negotiate. Next we heard from John Jickenlooper, Colorado governor who talked about the BDS (Boycott, Divest, Sanction) movement which divides us. Colorado, under his leadership to divest from any fund that ascribes to BDS. He also talked about the partnership regarding conserving water and aerospace. Colorado has a lot to gain from collaborating with Israel. The first breakout session I chose was called “A Military Edge: Ensuring Israel’s Military Superiority.” Ron Prosor who was the Israeli ambassador to the UN talked about the challenges of using the UN as a place for talking and trying to bring the Arab world, Saudi, Egypt and Jordan to align with Israel. Daniel Tab from the Uk talked about the wave of immigration to Europe which is changing the map. The world is changing, the Arab world used to be first in math and architecture but there hasn’t been any further innovation. Their society cannot move forward. Israel needs to have an edge or Q. M. E. (Quantitive Military Edge) to be secured. The next breakout session was about an Israeli TV show called FAUDA. It tells the story of an elite army unit whose soldiers train to go into the West bank dressed and behaving as arabs in order to target terrorists. Fauda means chaos in Arabic and its also used as a code word when the soldiers are discovered. It is fascinating. From the clips we could glimpse into the life of the Palestinians as well as the dilemma that confronts the Israelis. The evening program started with Vice President Biden’s speech followed by Buji Herzog; the opposition leader who described his new peace/separation plan. He believes that we need to move from hoping for peace and a two state solution which he does not condemn but rather try to break the stalemate and combat terror and dis pare by encouraging investment and state-building in the areas that will form a future Palestinian State. Israel is a resilient nation and can overcome any challenge. He emphasized the importance of US-Israel relation. The main attraction for day 2 were the presidential candidates. In the morning we welcomed Hillary Clinton and in the evening we heard from Kasich,Trump and Cruz. Hillary talked about the shared alliance and commitment to strength of Israel. She said that the next president will immediately face a world with peril and opportunities . Kasich talked about his first trip to Bethlehem where he met Avital Sharansky. He promised to honor the legacy of President Truman. He mentioned the Jewish community of Ohio and the memorial for the holocaust. He believes that everyone needs to live his life bigger then himself to provide hope for a better world. Trump started by talking about Iran and promised to dismantle the Iran deal. He continued by telling us about his marching in the Israeli day parade during a “dangerous time”. He promised to veto any resolution against Israel that will come in the UN. He said he will meet Netanyahu immediately after becoming president. Cruz started by mentioning the story of Esther, as Purim will start in two days. He mentioned Elie Wiesel who said that silence encourages the tormentor not the tormented. He called to defend together the US-Israel friendship to the next generation and stand strong together. Paul Ryan , the speaker of the house spoke as well and also condemned the Iran deal. It was a long day. These last two days were filled with speeches. Tuesday morning we heard from Bibi Netanyahu via video and Senator Melendez who is a great friend to Israel. The learning part of the conference is over and it’s now time to lobby which is the most important action. The impact of 18,000 people on the hill with a unified message of Israel is too powerful to describe. Each congressman and senator will be visited by an activist. Lets hope we can bring peace and be successful in pleading the case for Israel. 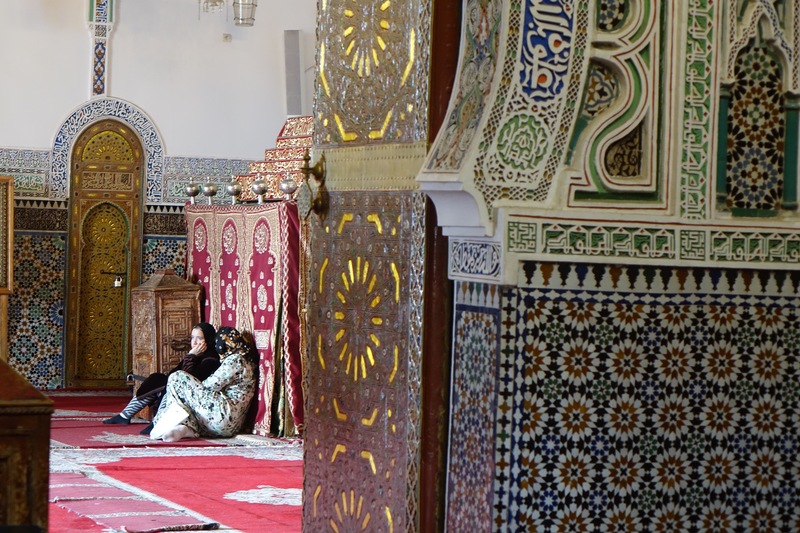 It takes four hours from Rabat to Marrakesh. The road goes through Casablanca and what a better way to pass the time then to watch the movie Casablanca! As Rick was saying goodbye to Ilsa we entered the red city. The first stop when we arrived to Marrakesh was Jardin de Majorelle or as it is known: YSL garden. In 1923 Jacques Majorelle decided to live in Marrakesh, he purchased a palm grove and asked the architect Paul Sinoir to build an artist studio in Art Deco style. In 1980 YSL acquired the garden and restored it and installed a Berber museum in it. The “Majorelle Blue” with green palm trees and cactus cast a magic spell when you enter the garden. It is the perfect first step into this mysterious city. Marrakesh is more of a tourist city then the other cities we visited. The weather is warmer and there are palm trees everywhere. 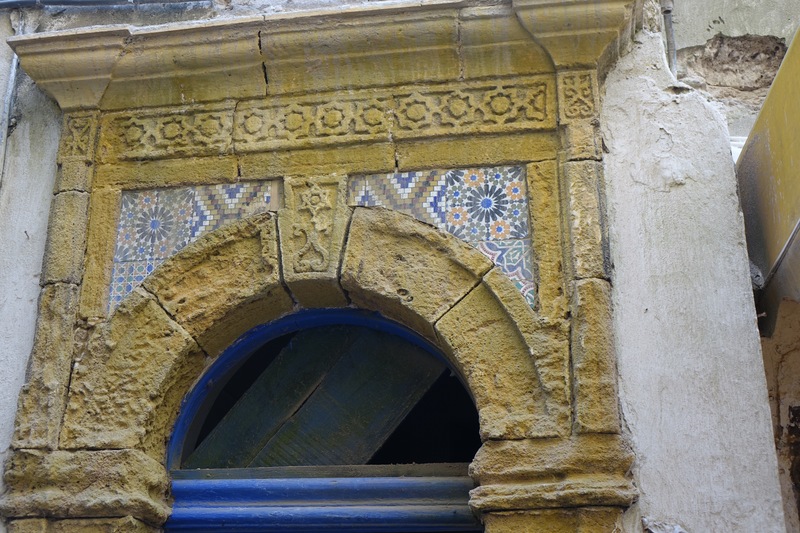 We continued with a tour of the mellah and visited the only synagogue left inside the walls . There used to be 35 synagogues. As the community shrunk they closed. We were told that there is a daily minyan. When I found out that the Marrakesh Biennale will take place during our trip I booked a tour. Their Biennale is spread among five sites. We visited two of them which were located in old palaces. I will write about the art in a different post. As it is Friday we got ready for shabbat and joined the Ohayon family for Kabalat Shabbat. Marrakesh is known for palaces and magnificent hotels. We visited the Mamounia hotel and had a cooking class at La Madison Arab . I know there are many more palaces and grant hotels to explore and we only scratched the surface. Saturday morning we drove towards the Atlas Mountains to visit a Berber village. The guide explained that that the Jews arrived to Morroco as merchants and settled in small villages all around the mountains. These are humble dwellings. The houses were build from mud. 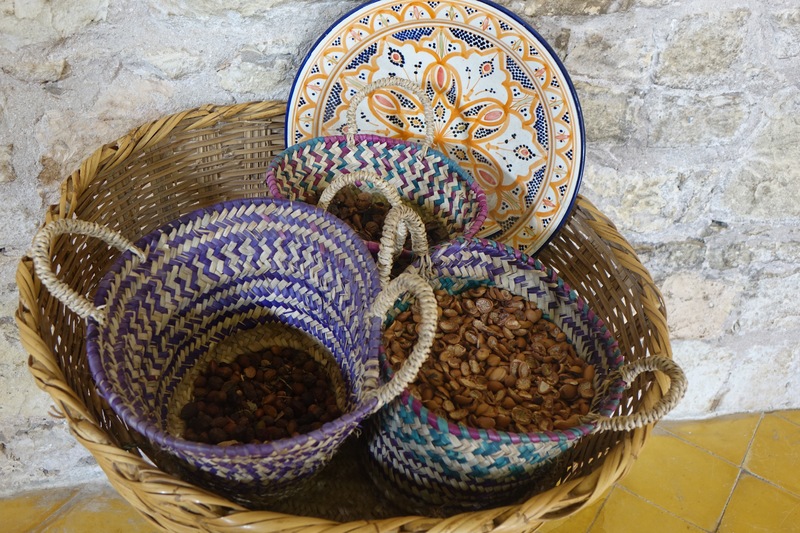 We visited Zohara who demonstrated the art of making Moroccan tea. As a tea lover I found it fascinating as she did not use any measuring but only her hands and estimated the timing by the color. The medina in Marrakesh starts with the Djemaa El Fena Square. 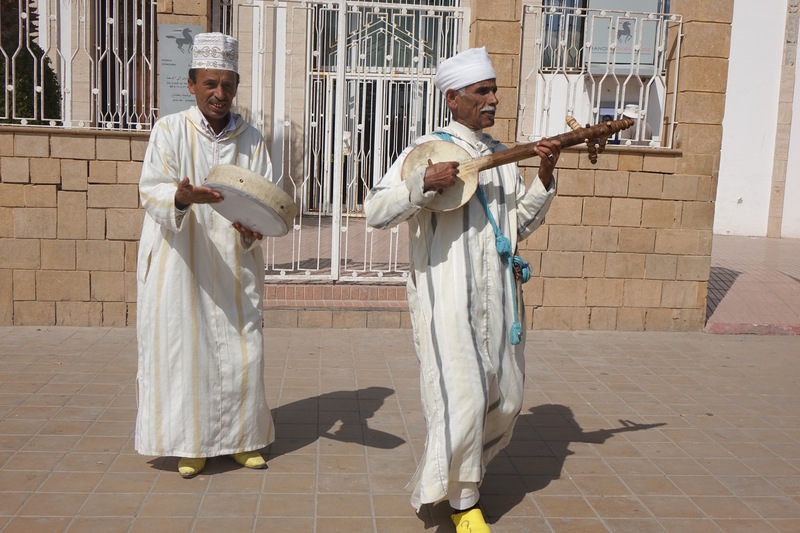 Water sellers, fortune tellers, snake charmers and henna ladies welcome the visitor even before entering the shouk. I was looking for the traditional tea pot which I found and got some glasses. I will practice the Moroccan tea serving with the mint from my garden. The trip is almost over. It’s been an incredible journey. This country is mysterious yet magical, complex and intriguing. We arrived to Fès which is North of Casablanca at night. The Hanair Hotel sits on hill and we could see the whole city from our room. 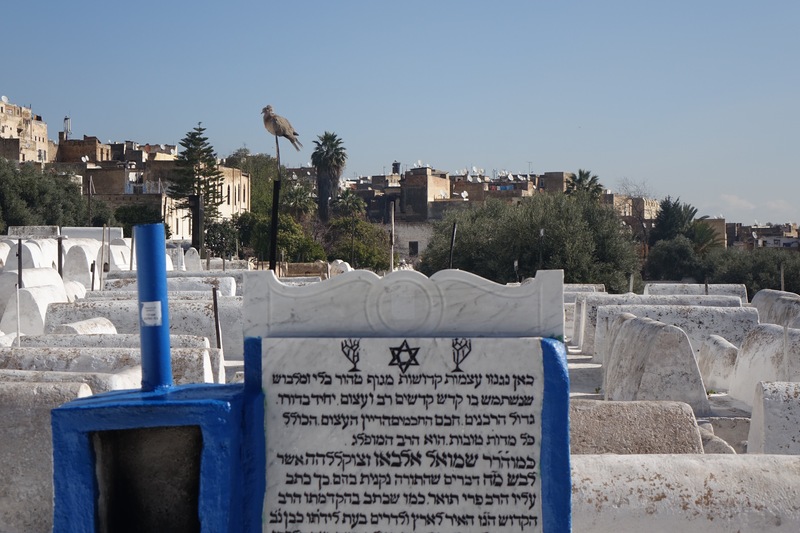 Today, the Jewish population is small but when you visit the cemetery you find graves of tzadikim from the 18th century and a royal blue building marks the grave of Soulela, a young girl with whom the prince fell in love. The king, at that time, decreed that all Jews had to convert to Islam, and many did…. but Soulela refused. The legend tells that they dragged Soulela around the city and left her head on a stick. Her remains are buried here. She is a symbol of the strong Jewish identity and the pride the Jews in Morocco have to their believes. 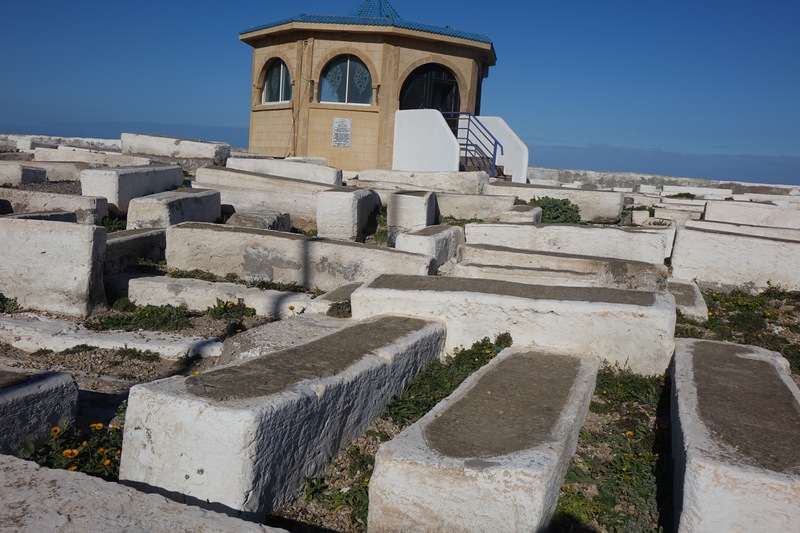 [Some would argue that Soulela’s behaviour contrasts favourably with that of Maimonides, who as a young man in Fès reportedly converted to Islam see here – ed] As we saw in Essaouira the graves are painted white. 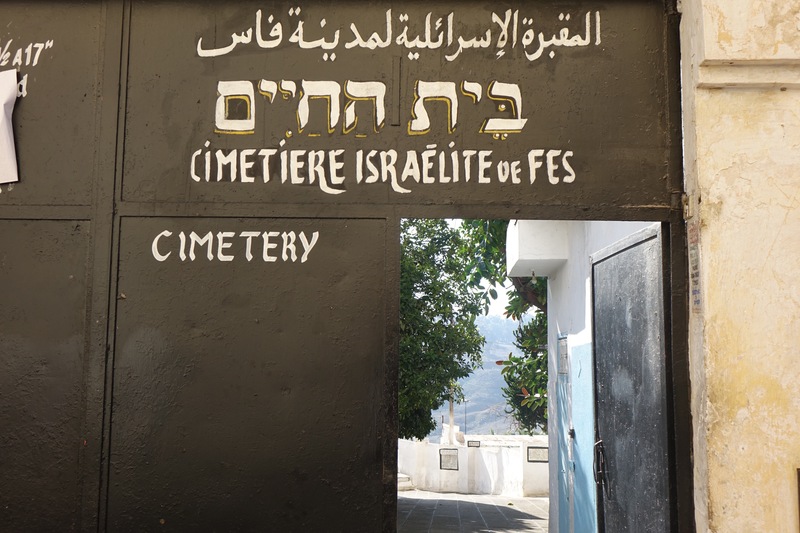 The name of the cemetery is “Beit HaChaim” which translates as “The House of the Living”. 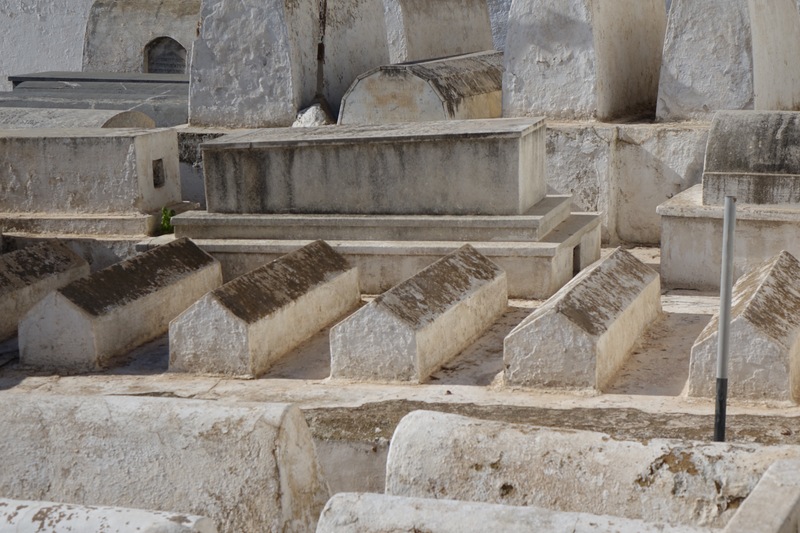 There is a strong belief in Morocco in praying at the graves of the tzadikim, scholars, and asking for a blessing. Next to the Mellah ( Jewish quarter) is the King’s palace. 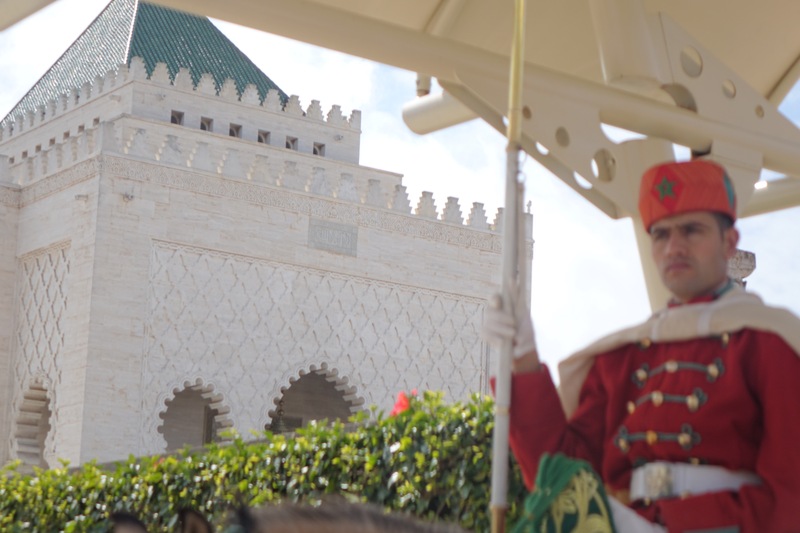 We tried to take a photo of the guards but were chased by the palace guards who demanded that we delete them. The artwork on the palace gates is typical of Moroccan intricate carving. Fès is know for its artists. 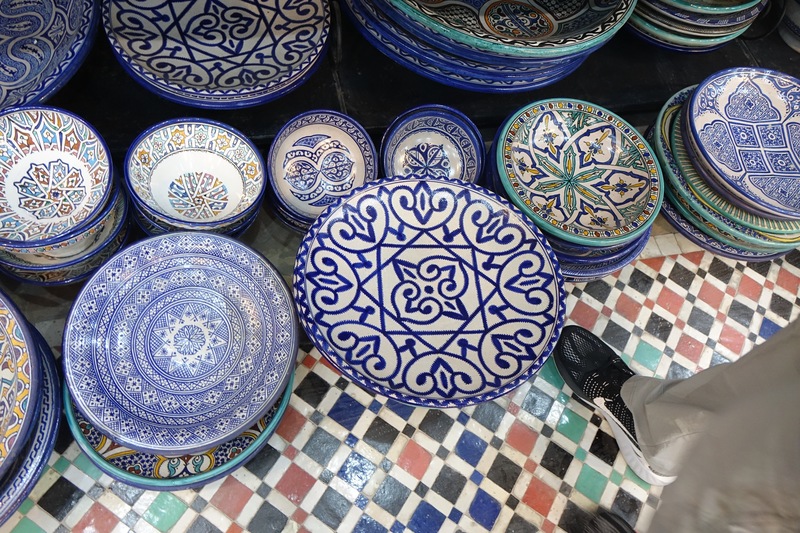 We visited a pottery factory and watched the potter literally grow a tagine dish and of course had to shop, for some to bring home. The medina is the largest in the country. We walked through the narrow alleys and through the shouk, shopping for carpets and leather goods. It was exhausting. When you buy any item at the shouk the haggling starts, it is a ritual that left us tired. We left Fès and rode the bus to Rabat, the capital. 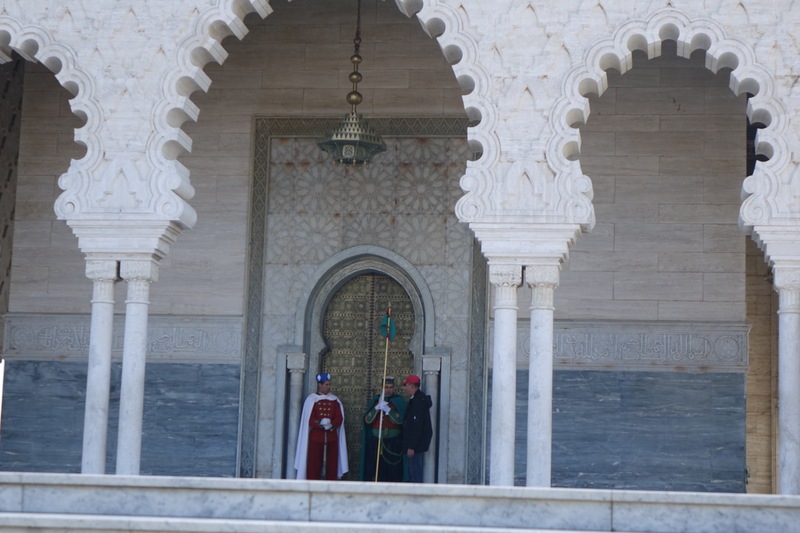 We had a “date” with a Colonial Major and Mr. David Toledano, the head of the Jewish community in Rabat to lay a wreath at the tomb of King Muhammad the V and King Hassan the II. After laying the wreath, the Rabbi said El Moleh Rachamim and the colonel thanked us for coming. King Muhammad the V protected the Jews from the Vichy government during World War II [see here] and that was our way of saying thanks. 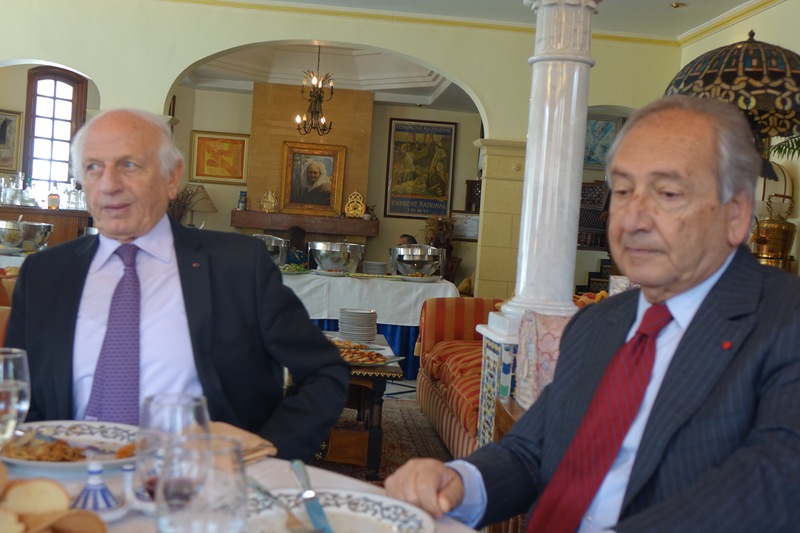 Lunch was held at Mr. Toledano’s home and Mr. André Azoulay who is the advisor to the king joined us. This is a Muslim country and although the Jewish population feels comfortable, it is important to know the King. Mr. Azoulay talked about the Israeli dignitaries who visited Morocco and about his desire to help negotiate peace in Israel. There used to be an Israeli embassy in Morocco but it closed when the Intifada started. Today Israelis need a visa to visit Morocco, many come on a “Roots trip” to look for their ancestors graves and homes. Mr. Toledano’s home is in an area called Sale where the we saw the American embassy and others. Also in attendance was the US Deputy Chief of Mission Matthew Lussenhop and Kyle Spector, Foreign Service Officer. In the afternoon I decided to check the newly built Contemporary Museum. It has a nice exhibit of Morocco Now art since the 195’s. As we were planning to visit the Moroccan Biennale in Marrakech, it was a good preview. On the way back to the hotel we passed the Palestinian Embassy which brought to mind the reality, as comfortable as we feel now it can all change in a heartbeat..
Fast forward last week, I flew from Israel through Paris to Casablanca. Men wearing long galabias, women with head coverings are the sights that welcome at the airport. I remind myself that I’m here on a JDC mission to explore the life of the Jews in this country. 350,000 Jews lived in Morocco prior to the 1950s and Jews have lived in Morocco since the 18th century. But only few thousands are left today. The king’s grandfather, King Muhammad the V protected the Jews during WWII. Many Jews left after the six day war due to unrest but those who stayed do not currently have to fear for their safety. There is something mysterious about this country-Morocco. Maybe it’s the bright colors or the delicious food or the stories about Alibaba and all the evil eye superstition. I knew on coming that there is a lot to uncover. 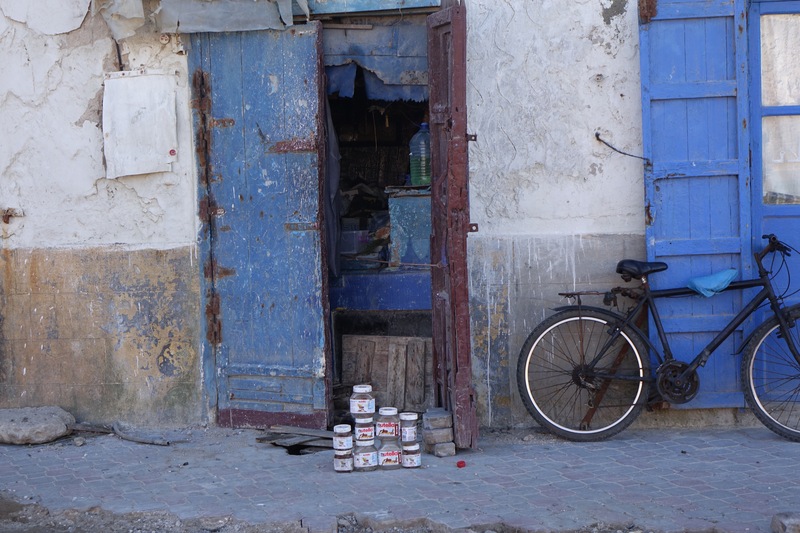 We left the airport and drove four hours South to the seaside town of Essaouira. The landscape reminded me of southern Israel. Flat, fields of wheat, some sheep grazing. Very picturesque. Essaouira is a port city. Its buildings are painted in blue and white. The sand is soft, the sea was calm but we heard it’s the best place for surfing. 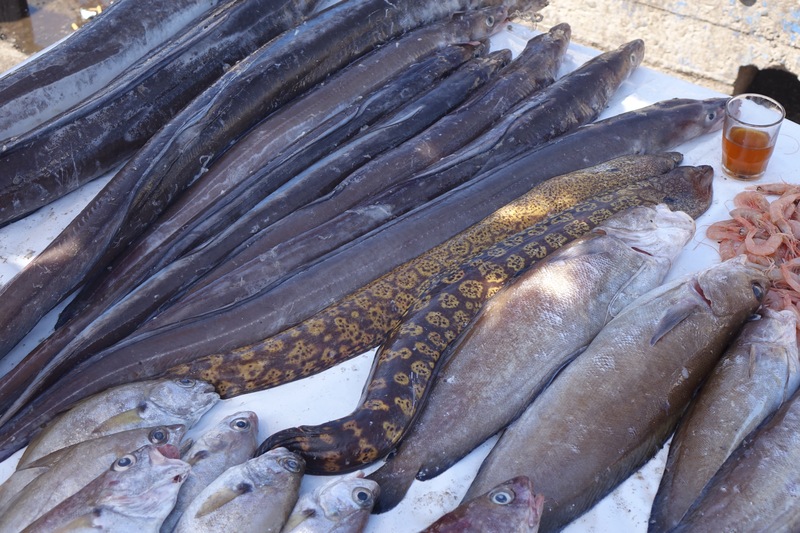 We entered the Medina, the walled city, walked through the shouk, picked fish at the port which we had cooked for lunch. The Jewish history is rich but out of the 35,000 Jews who lived here, one is left.We visited the Rabbi Chaim Pinto synagogue which is used for ceremonies. The cemetery which is located by the sea had silhouettes of women and men on the gravestones but no names. We were told that the Rabbi had a list of who is buried where. Later the custom changed and we found some graves with Hebrew writing but it was hard to find a name as the letters eroded over time. There are two other synagogues that are being restored but most of the houses in the Jewish Quarter (the Melach) were destroyed. There was tranquility in the air, it felt like a vacation. Tomorrow we will go to Casablanca to meet the rest of the group and start our mission. Rabbi Chaim Pinto grave in cemetery. Nameless graves identified by chart. Which would you have for lunch?? It was mostly a boring ride but we did discover some goats on a tree. Yes it’s an argan tree and they just wanted to eat some nuts and entertain the passengers. Casablanca is a bustling city, lots of people on the streets, just hanging , walking , haggling to sell something or just busy going to work. It’s a business city. We took a driving tour and saw some nice villas and lots of construction. King Hassan II commissioned a French architect to build a mosque that will provide Casablanca with a single landmark monument. He was hoping to finish it for his 60th birthday but it took few more years. The result is the third biggest mosque in the world. 25,000 worshippers can be inside and 80,000 outside. It took around 10 years to build the mosque. 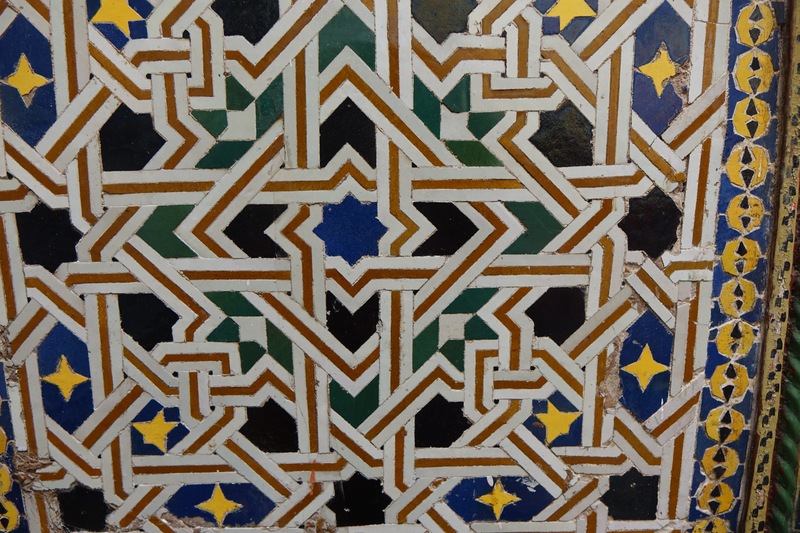 The moorish designs are incredible. I must say it is intimidating to imagine so many people listening to one person. The influence that one person, the imam, can have on all those who came to pray is scary. The Hammam at the bottom of the mosque. It has never been used. There are 3 Jewish clubs in Casablanca. We ate at the one that has some tennis courts. We had a nice kosher meal and continued to the only Jewish museum in the arab world to see some of the treasures that were collected after the Jews left. The Jewish community in Casablanca amounts to a few thousand Jews. There are many synagogues, most of them are family synagogues. Few primary Jewish school, a co-ed Maimonides high school, some kosher butchers. We visited the Neve Shalom primary school. The kids were singing in Hebrew and getting ready for Purim. At the high school we met with students. Jewish and Muslims who are studying together and learning to respect each other. We visited an old age home and a clinic that serves the needy with their health needs. 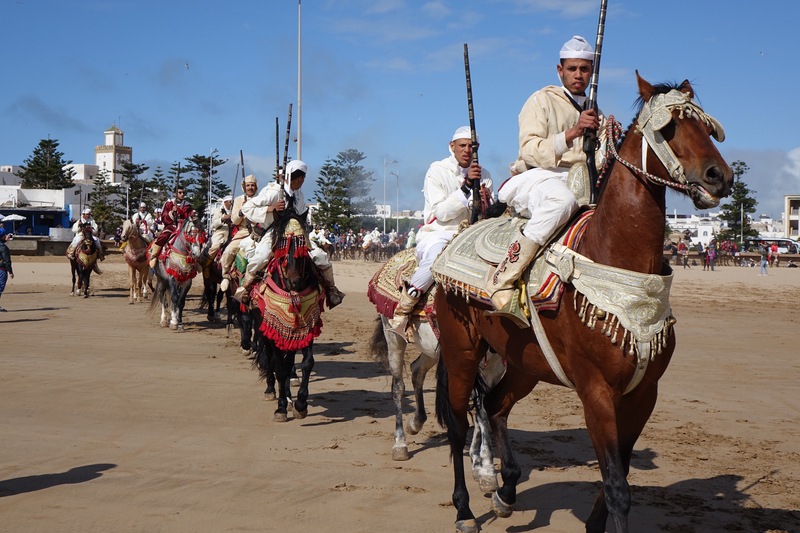 From a glance you can sense the pride that Jewish Moroccans have for their country and heritage. Although the young generation leaves the country to study abroad and, for the most part not return, the hope is that the king will continue to favor the Jews and maybe more will come back. As they say in Arabic, Inshallah or in Hebrew Amen..
We bid goodbye to Casablanca and to Rick’s cafe and Humphrey Bogart and continue North to Fez. Stay tuned for the next post.